I have always been a fan of Twenty One Pilots so this was special to me. They have amazing talent and I’ve never disliked anything they put out. I have seen them live and this has made me believe that they are so real and so much more talented than media makes them out to be. So again, when I had the chance to review this album I knew it would be something cool to listen to being older and understanding them as artists as a whole. From the first song I actually heard on the radio, “My Blood”, I knew it was going to be different, yet special. In their fifth studio album, they have blessed us with a 14 track listing. The songs definitely are different from their past album Blurryface, but you can hear such raw energy, you can almost hear the experiences they’ve been through since the last album was dropped. I always have appreciated this about Twenty One Pilots and it’s just the simple fact is that they are just guys who write music and enjoy it and do it for themselves more than anything. It was most definitely an interesting experience as I was listening and the album delivered. “Jumpsuit” was one of the songs that really had me intrigued with their new sound. Following them from the beginning I knew this was going to be something so groundbreaking for them. Coming back after 3 years from the last album they released, at times it can be hard to keep fans intrigued, but I think they’ve done that. Taking this risk of changing things up made this album really exciting to listen to and kept the sound interesting to hear all 14 songs in a row. 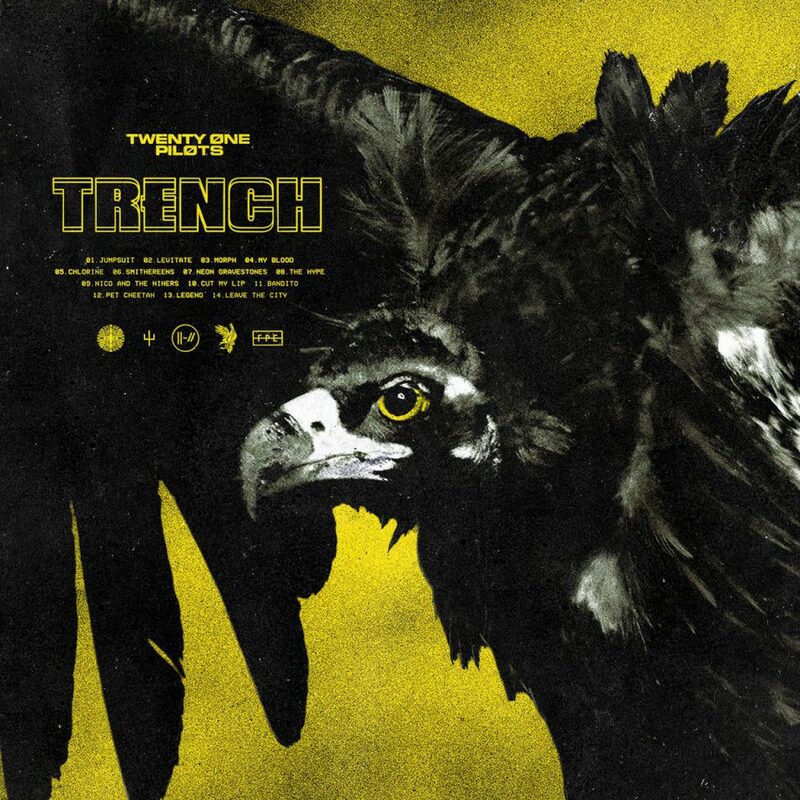 I enjoyed this album and really could vibe on the songs put on Trench. I love when albums are real like this because you can tell what they’ve been through and can relate in more than one way. They’re great performers, they’re great writers, and they make you feel their music. I love this type of writing and it is my favorite thing about albums and artists like this. Within the album I didn’t find anything I disliked, everything kept me into it. I enjoyed this album as whole and I think it has a lot to offer to listeners and fans of the Twenty One Pilots. In my opinion, they did an amazing job and I can’t wait to hear more after this with the new sound. Overall, Twenty One Pilots are such creative and talented artists. I appreciate their writing skills and overall pure and raw talent live, in studio, etc. From the beginning I have been fans of them: this album just blew me away and I’m so excited to hear even more after this album.